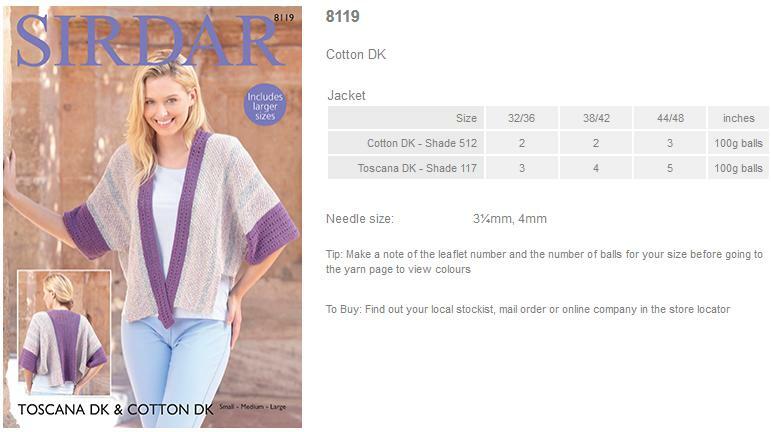 8119 - Jacket using Toscana DK Leaflet with a designs for a Jacket using Sirdar Toscana DK. 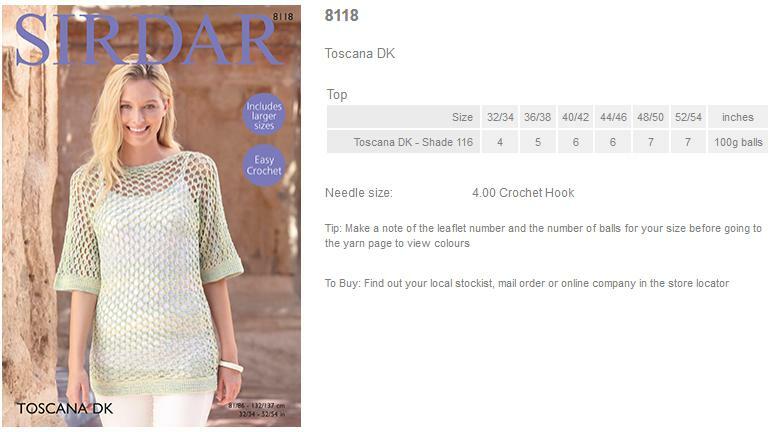 8118 - Top using Toscana DK Leaflet with a designs for a Top using Sirdar Toscana DK. 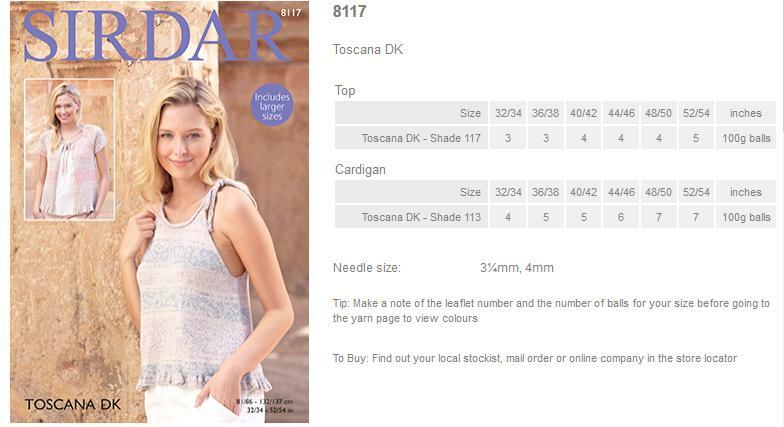 8117 - Top and Cardigan using Toscana DK Leaflet with designs for a Top and Cardigan using Sirdar Toscana DK. 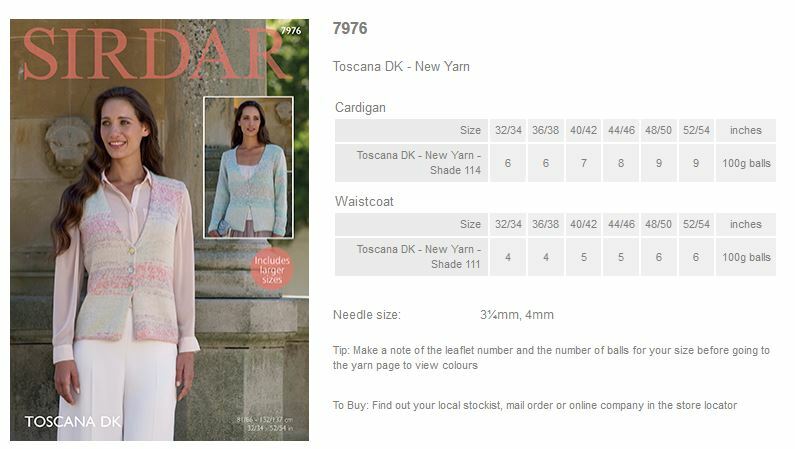 8116 - Long and Short Sleeved Tops using Toscana DK Leaflet with designs for Long and Short Sleeved Tops using Sirdar Toscana DK. 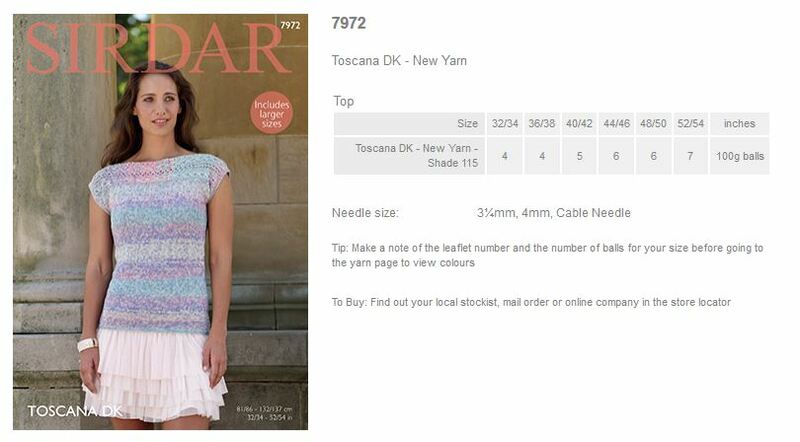 7972 - Top using Toscana DK Leaflet with designs for a top using Sirdar Toscana DK. 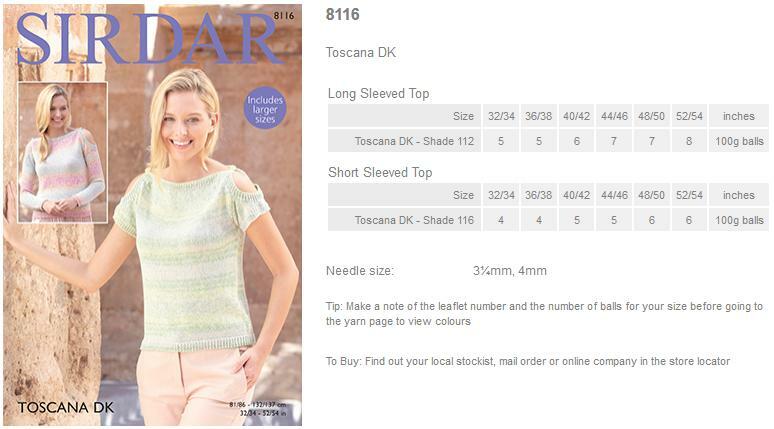 7973 - Top using Toscana DK Leaflet with designs for a top using Sirdar Toscana DK. 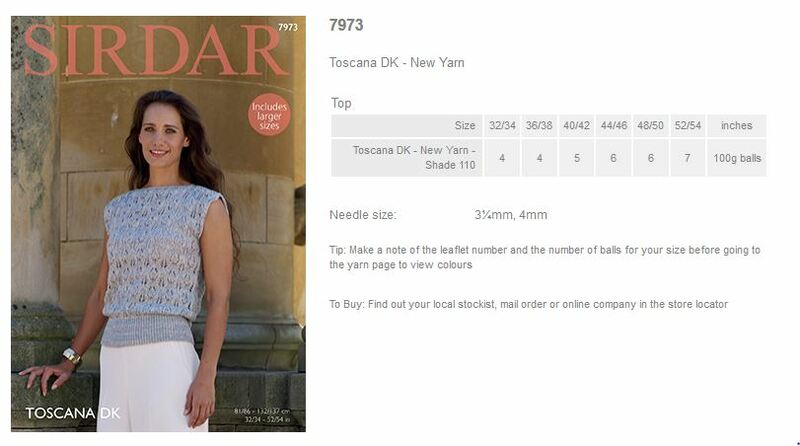 7974 - Long sleeved top using Toscana DK Leaflet with designs for a Long sleeved top using Sirdar Toscana DK. 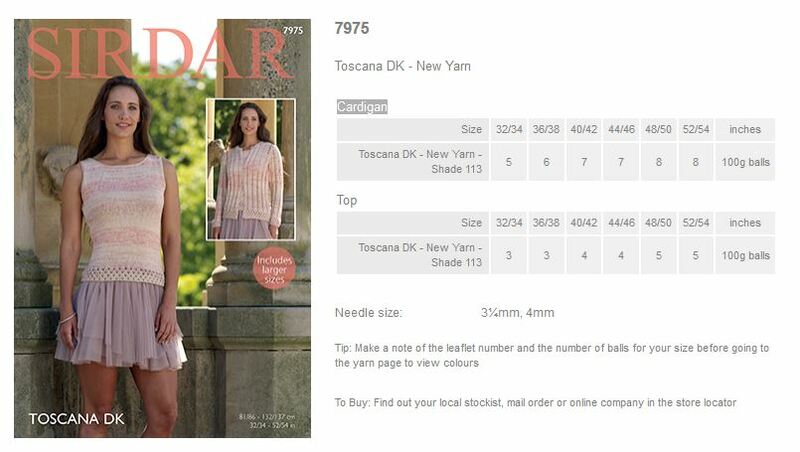 7975 - Cardigan and top using Toscana DK Leaflet with designs for a cardigan and top using Sirdar Toscana DK. 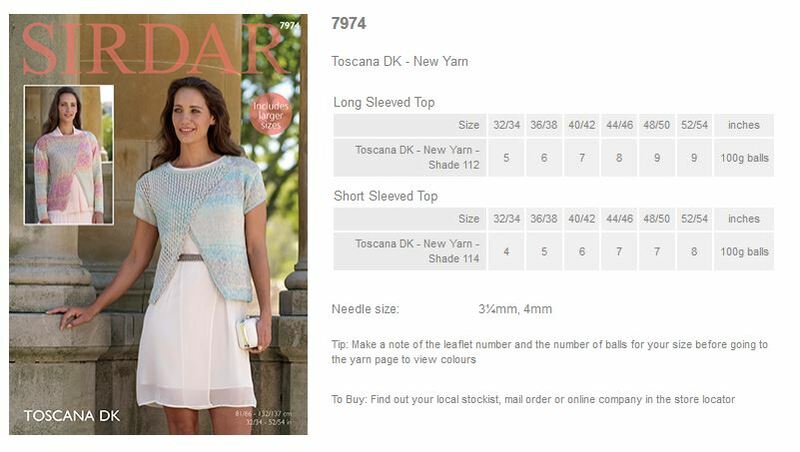 7976 - Cardigan and waistcoat using Toscana DK Leaflet with designs for a cardigan and top using Sirdar Toscana DK. 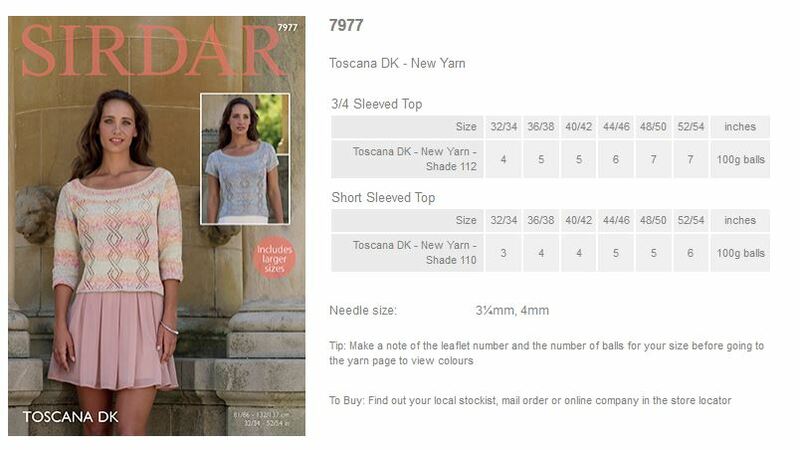 7977 - 3/4 and Short Seeved Tops using Toscana DK Leaflet with designs for 3/4 and Short Seeved Tops using Sirdar Toscana DK.